The best Slimming World snacks are Syn FREE kind that include one third Super Free: ham and pineapple is a perfect example. I try to keep low fat ham and chopped fresh pineapple in the fridge at all times. 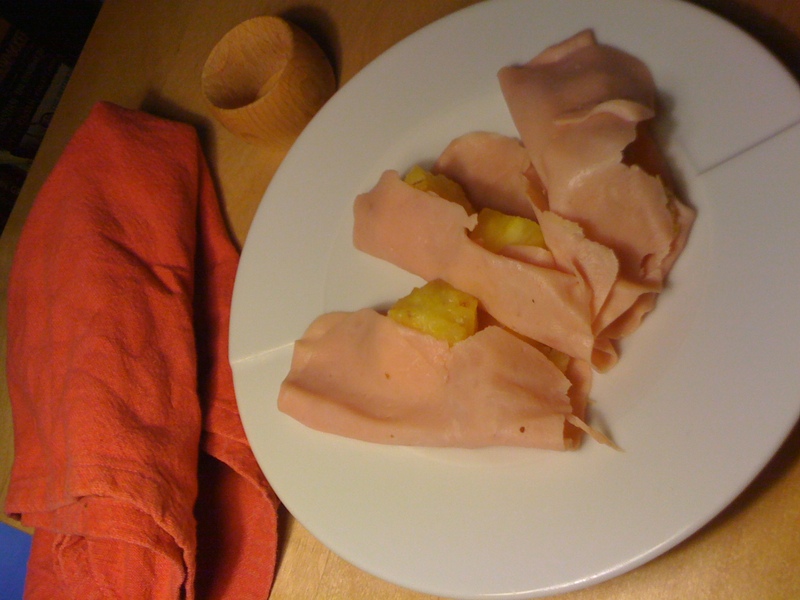 It’s a great snack for filling up on thanks to the ham, and super sweet thanks to the pineapple. This entry was posted in Nibbles, Slimming World recipes and tagged Ham, pineapple, smoked ham, Syn free snacks. Bookmark the permalink.